We offer marble sculpture that resumable the features and anatomy shown into photo given by client. The facial expressions of these marble sculpture are carefully so that the statues look almost real to the charactors or well known. The sculptures are meticulously carved to impart perfect finishing, smooth edges and high sheen factor. We also meet customized requirement and offer our range at industry leading prices. Our range of marble sculpture includes religious marble sculpture, marble sculpture statue, outdoor marble sculpture, decorative religious marble sculpture, decorative marble sculpture statue, figurative marble sculpture, decorative outdoor marble sculpture, realistic marble sculpture, Bal Gangadhar Tilak marble sculpture, sitting marble live statue, celebrity sculpture and marble standing statue. In the range of our most attractive and elegant quality products are also included these Tirupati Balaji Moorti. These Tirupati balaji statues are considered to be the provider of prosperity and development to the families and in works. These Tirupati balaji statues have excellently been carved and designed using very excellent quality raw materials which make it long lasting as well as appreciable. These Tirupati balaji statues are available for our clients in different parts of the country as well as in several other countries. We offer marble sculpture that resemble the features and anatomy Marble Tirupati Balaji Statues. The facial expressions of these marble sculpture are carefully so that the statues look almost real to the charactors or well known. The sculptures are meticulously carved to impart perfect finishing, smooth edges and high sheen factor. We also meet customized requirement and offer our range at industry leading prices. Our range of marble sculpture includes religious marble sculpture, marble sculpture statue, outdoor marble sculpture, decorative religious marble sculpture, decorative marble sculpture statue, figurative marble sculpture, decorative outdoor marble sculpture, realistic marble sculpture, Bal Gangadhar Tilak marble sculpture, sitting marble live statue, celebrity sculpture and marble standing statue. 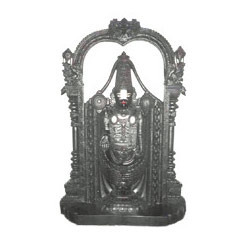 Black Marble Tirupati Balaji Statue also are included in the range of our one of the finest and greatest quality products which we are not only manufacturing but also are exporting and supplying in different countries as well as parts of the country. 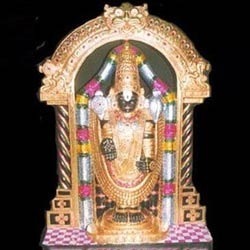 These Black Marble Tirupati Balaji Statue are widely believed and worshiped in different parts of the country as well as abroad as they are considered to be the provider of prosperity and peace to the family and development in works. These Black Marble Tirupati Balaji Statue are made up of one of the most excellent and finest quality materials which makes it last much longer. 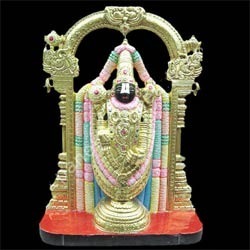 Tirupati Balaji Statues are one of the most attractive and elegant kind of statues which our company is not only manufacturing but also is engaged in supplying and exporting over several countries over the world. 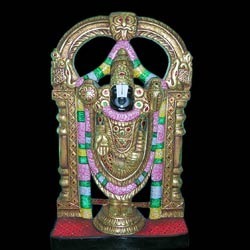 These tirupati balaji statues are basically used for the purpose of worshiping as well as for the internal decoration of homes and apartments. 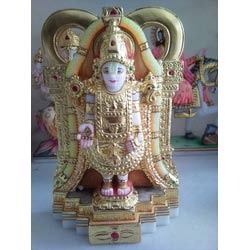 These tirupati balaji statues have been designed and crafted in a very attractive manner by our craftsmen which are sure to be liked by each and every clients in the market. Along with several other supreme quality tirupati balaji statues, we are also offering our clients one of the finest and greatest quality Tirupati Balaji Sculptures. These tirupati balaji sculptures have also been created and crafted by our highly trained, experienced and skilled craftsmen who have put their best to make them attractive enough to catch the eyes of all our clients. 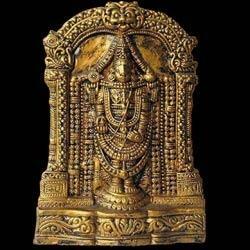 These tirupati balaji sculptures are not only manufactured at our company but we are also engaged in its export and supply in various different countries. We offer marble sculpture that resemble the features and anatomy shown into photo Tirupati Balaji Idol Marble. The facial expressions of these marble sculpture are carefully so that the statues look almost real to the charactors or well known. The sculptures are meticulously carved to impart perfect finishing, smooth edges and high sheen factor. We also meet customized requirement and offer our range at industry leading prices. Our range of marble sculpture includes religious marble sculpture, marble sculpture statue, outdoor marble sculpture, decorative religious marble sculpture, decorative marble sculpture statue, figurative marble sculpture, decorative outdoor marble sculpture, realistic marble sculpture, Bal Gangadhar Tilak marble sculpture, sitting marble live statue, celebrity sculpture and marble standing statue. Looking for Tirupati Balaji Statues ?